Premchand and Nirala were literary stars at 25, and by their 30s they saw their works being included in school syllabi. But a talented Indian language writer today would need to be both influential and old, if not dead, before he is read and formally recognised by either the Sahitya Akademi or the numerous other literary foundations. Though it is still a gentleman's game compared to the vicious politicking, scandals and goondaism that plague the art world, the fortune and fame of many Indian writers are determined by a well-entrenched literary mafia in Delhi. A society for mutual admiration, it is a close knit group of 'established writers' and writer-bureaucrats who lord over vast networks of patronage. Outsiders stand little chance of breaking into this circuit and stumble in either by default or for sheer want of a favourite in a particular category or language. With the right combination of credentials and a little patience, one may get rich dividends in terms of awards, fellowships, consultancies, jury positions and appointments to library and book purchase committees. In the best traditions of backscratching, jury members are seen to nominate one another or their favourite writer bureaucrats and sundry camp followers for awards, while those on purchase committees ensure the sale of books by select authors and publishers. "Undoubtedly, there is a literary mafia at work," says Hindi writer Krishna Sobti, author of Mitro Marjani. "There is always a silent decision to promote someone or the other. It's a circuit game barred to outsiders. Only a few have access to the India International Centre bar where so many things are decided." Khushwant Singh recalls his decision to quit the Sahitya Akademi's award panel after a writer, whom he had reported for lobbying for her book, not only got the award but even declared her husband would get one the following year. Says Singh: "The kind of lobbying that goes on is shocking. In particular, there is a rampant scandal in Punjabi awards. I can't think of a single Akademi awardwinning book that has been commercially successful: they are simply unreadable. And it is disgusting to find writers forming cooperatives and raising money to publish books which are released by ministers whose departments then lift copies of the books and flood village and town libraries with them." Short story writer Nirmal Verma and novelist Shrilal Shukla (of Raag Darbari fame) dispute the existence of a 'mafia' but point out that literary groups based on ideology and literary preferences have always existed in Hindi, Urdu and most other languages and their choices may be influenced accordingly. Literary foundations funded by industrial houses too have their biases. Says Shukla: "Progressive and leftist writers have dominated Hindi and Urdu literature and won many state awards. However, the Jnanpeeth or similar awards funded by industrialists will never go to a leftist. Even Faiz Ahmed Faiz wouldn't have got a Jnanpeeth!" Octogenarian Akademi awardee Vishnu Prabhakar recalls being stunned when he stumbled upon a 'fatwa' to trash a writer's forthcoming book. While Verma feels it's "unfortunate that sometimes a writer's official position weighs in favour of his getting an award", Sobti vouches for the fact that institutions and key individuals act in a manner that makes it easy to predict who will get which award. Quite predictably, Oriya poet and IAS officer Sitakanta Mahapatra won the prestigious Jnanpeeth award in January 1994, when he was the culture secretary at the Centre. The same year, culture czar Ashok Vajpeyi got an Akademi award. Not only that, the poet-bureaucrat from Madhya Pradesh, presently a joint secretary in the Culture Department, was also conferred the first Dayawati Modi Kavishekar award (cash prize: Rs 2.51 lakh). In December, Kannada writer and Sahitya Akademi president U.R. Ananthamurthy was given the next Jnanpeeth-the only national award to come his way in his four decades on the literary scene. The composition of the two juries that conferred the awards on Vajpeyi was questionable. For instance, the Modi award jury had little to do with contemporary Hindi poetry and comprised Ananthamurthy, Sanskrit scholar and former Navbharat Times editor V.N. Mishra and journalist V.P. Vaidik. The latter two are close to Vajpeyi and are believed to be helping him catch the next flight to the PMO-after his patron Ajrun Singh's exit, he is said to be feeling somewhat orphaned in the Madhavrao Scindia-led HRD Ministry. The Akademi jury--comprising critic Namwar Singh and writers Shrilal Shukla and Naresh Mehta-was not unanimous in choosing Vajpeyi, who won by a majority vote. The nexus between Namwar Singh and Vajpeyi is well known in the HRD Ministry. Namwar Singh was made professor emeritus upon his retirement from Jawaharlal Nehru University and simultaneously became chairman of the Raja Rammohun Roy Library Foundation. Vajpeyi allegedly shielded Namwar Singh when CPI(M) MP Malini Bhattacharya charged him with committing several irregularities in the foundation. Vajpeyi responded with a firm denial. The charges focus around Namwar Singh having drastically altered the rules to buy Hindi books with money earmarked for English books, and of favouring publishers Rajkamal Prakashan and Radhakrishna Prakashan with whom he has been closely The foundation reportedly' purchased Vajpeyi's poetry books in usually large numbers. There couldn't be a more damning indictment of the Akademi awards than its selection criteria being questioned by the awardees themselves. At a meeting of 22 awardees last February, Assamese short story writer Sheelbhadra and Telugu poet Gunturu Sharma said the books for which they got the award were not their best. Vishnu Prabhakar, whose Ardhnareeshwar was given the award in 1993, too feels his critically acclaimed biography of Sarat Chandra, Awara Masiha , was more deserving. "Personal factors obviously influence the selection of books by the language committees," said Sheelbhadra, who also drew attention to the fact that a jury member had even claimed credit for 'getting' a particular writer his award. Members of the audience heckled noted playwright Girish Karnad, dubbing his award 'monopolistic', and said most awards were given by incestuous groups who picked awardees from among their friends. As for Ananthamurthy, he rejects any criticism of Karnad that loses sight of the fact that Karnad is "a great writer". Strangely enough, Akademi secretary Indra Nath Chaudhuri welcomes the controversies surrounding the awards, saying they "indicate their importance". lie says disputes arise because the selection criteria is subjective and objective guidelines cannot be spelled out. He also defends the Akademi's selection procedure as being the "most democratic" and claims the awards department functions with "utmost secrecy". For each of the 22 languages in which awards are given, select persons from the Akademi's 86 member general council first prepare a ground-list of eligible books. This is sent to the appropriate language advisory board, each having 10 members. Each member chooses two books and is free to add those not on the ground-list, provided they have been published in the five years preceding the last one. This list is sent to a committee of "preliminary judges", who too are free to alter it. They make the final list, which is placed before the jury as a fait accompli. Disputing Chaudhuri's claim, Shukla says the Akademi's selection procedure leaves a lot to be desired as meritorious books are often missing from the final list given to the jury, and though a judge is party to the decision he cannot be entirely blamed for it. "The choice before us is very limited and very often one knows that better books have been published within the specified time-frame. The selections leave a lot to be desired." At the February meet, Seshendra Sharma had hit out at the Jnanpeeth, calling its selection committees the "greatest disaster". "Given the unhealthy politicking that obtains in every part of India, a genuine poet gets relegated to the background and some undeserving one gets pushed forward," he lamented. Kannada playwright Prasanna is disappointed that no playwright has ever been awarded the Jnanpeeth. "Awarding the Jnanpeeth to Mahapatra reflects its declining standards. When V.H. Gokak was given the Jnanpeeth a few years ago, the predominant feeling in Kannada literary circles was that G.K. Adiga was more deserving. 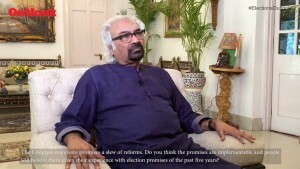 Similarly, there is a debate in Oriya circles where the feeling is that Ramakanta Rath was more deserving," says Prasanna. Hindi poet and short story writer Uday Prakash finds Vajpeyi unworthy of the two awards and calls him a "power broker" disguised as a poet. "Nobody takes Vajpeyi seriously in Hindi literature. 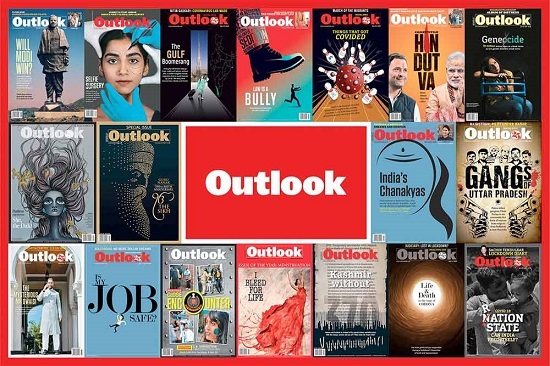 History will remember him as a culture czar who doled out patronage," says Prakash, who was co-editor with Vajpeyi of Poorvagraha, a Madhya Pradesh government-funded literary journal founded by Vajpeyi. How do a handful of people come to wield such immense clout? And how are such incestuous networks formed? Vajpeyi's track record and the controversies that have dogged him offer vital clues. A promising Hindi poet in the '60s, Vajpeyi joined the IAS in 1965. Consistently patronised by Arjun Singh in Madhya Pradesh, Vajpeyi's power grew when Arjun Singh became chief minister in the '80s and he became the state culture secretary. He set up 11 cultural institutions, 10 of them in Bhopal itself. These extended his influence beyond the literary sphere into the visual and performing arts. His was the last word in the appointment of their trustees and office-bearers. However, till the '80s he was a relatively unknown commodity outside Madhya Pradesh. Bhopal's Bharat Bhawan, inaugurated in 1982 by Indira Gandhi, was his crowning glory. There is hardly a writer, painter or performing artiste of repute today who has not enjoyed Vajpeyi's hospitality and patronage. Controversies-such as those stemming from his decision to host the World Poetry Festival in December 1984 (when Bhopal was still reeling from the infamous gas tragedy), or to divert to culture funds earmarked for social welfare--failed to shake him. He remained extremely powerful till he was unceremoniously shunted to the state Revenue Board when the Sundarlal Patwa led BJP government came to power in Bhopal in 1989. But mentor Arjun Singh came to his rescue, this time as HRD minister, and brought him in as joint secretary in the Culture Department in 1992. Whether by coincidence or design, the past few years have seen major upswings in the fortunes of his kith and kin. Shortly after Arjun Singh became HRD minister in 1991, Vajpeyi's sister-in-law Kirti Jain, who was then officiating as director of the National School of Drama, was formally appointed to the post (despite the fact that her contribution to theatre is negligible and she has directed only one NSD play). Snide asides have been made at his father-in-law and ex-NSD director, Nemichand Jain, getting a big Ford Foundation grant and about the 'spurt' in the number of his published works since 1992. Vajpeyi's poet-brother Udayan, who had earlier held the Asia Poetry Chair at Bharat Bhawan, recently received an Akademi fellowship. Last year witnessed a controversy over Vajpeyi's 26-year old son Kabir being appointed to the post of "eminent architect" by the Lalit Kala Akademi, which he declined after adverse press reports. And at the recently concluded Avignon festival in France, Vajpeyi had Kathak danseuse and close friend Prerna Shrimali dancing to the themes of his poems while noted writer B.V. Karanth was sent as her 'stage manager'. Unlike Mahapatra, who declined to speak on the 'vexed issue' of awards, the suave Vajpeyi faces up square to each charge. "I have never promoted myself or my work or ever sought to influence any jury. There is no literary mafia at work. The criticism against my getting the awards is purely personal and is not based on a critical evaluation of my work. I just take it all in my stride." He sees himself as a writer first, and says that in his 27 years as a culture administrator he has "tried to ensure dignity and honour for the writer". Ananthamurthy is even more dismissive of the charges. "There is absolutely no nexus of any kind. I would not even like to allow such thoughts to enter my mind. There are 20 eminent people on the Akademi's panel and the final decision is taken by three independent members," he says. Any reference to Mahapatra, for instance, as the beneficiary of a nexus begins from a flawed premise, he insists. Vajpeyi feels the problem is that there are more awards "than deserving candidates, even some Jnanpeeth awards have gone to undeserving persons", and most awards end up as seniority roll calls. Shukla agrees: "in Hindi particularly, this is an era of old men. Nirala and Premchand were famous in their 20s and Dharamvir Bharati did not do any serious work after 40. A 30-year-old writer today will have to wait another 40 years for recognition." Little wonder then that Sobti feels young writers are growing up with the belief that lobbying is essential for recognition. The best way to change things, says Verma, is to make the selection procedures completely transparent and publicise the names of the jury. The question is: in a system accustomed to culture czars doling out patronage and where writers scramble for places on government committees, will the literary establishment ever willingly / subject itself to public scrutiny?